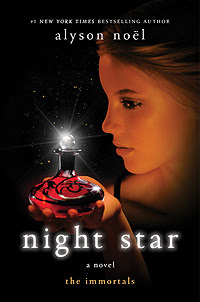 Night Star was written by Alyson Noel. It is book 5 of The Immortals series. After fighting for centuries to be together, Ever and Damen's future hinges on one final showdown that will leave readers gasping for breath. Not my favorite of the series... or the most memorable in my opinion.